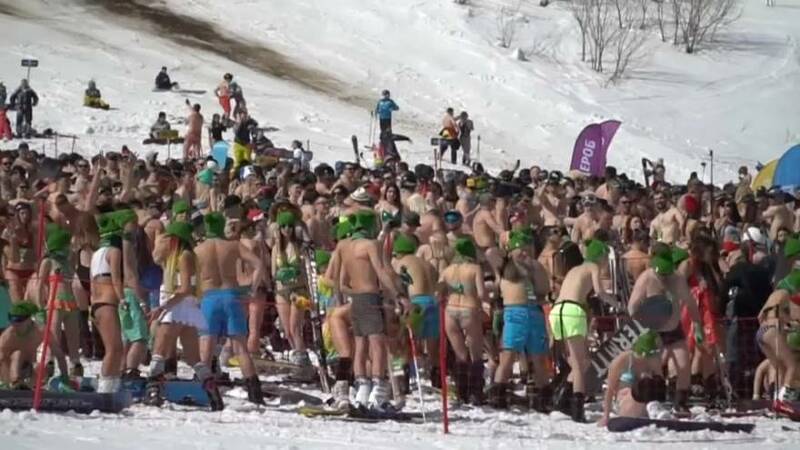 More than 1,500 Russian skiers and snowboarders have marked the end of the winter season by riding the slopes in their swimwear. And they beat the previous attendance record for the chilly descent. It's all part of the annual music and skiing “Grelka Fest”, which is held in the first weekend of April in southern Siberia's Kemerovo region. Even though snow remains on the ground in the ski resort at Sheregesh, the air temperature was around 15℃. Now in its seventh year, the festival attracts skiers and snowboarders from as far away as Canada and Uganda.